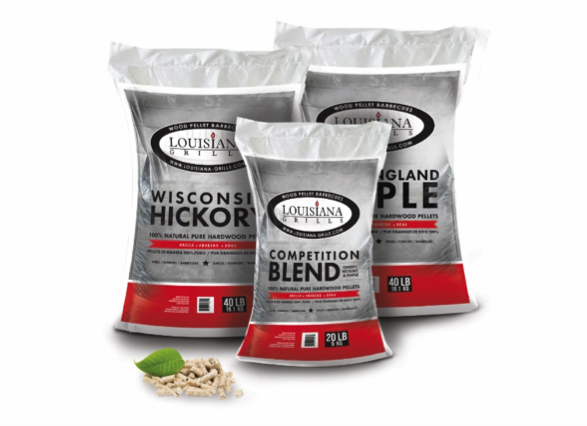 Smoke, grill and bake with Louisiana Grills 100 percent natural hardwood pellets. These pellets generate approximately 8200 BTUs per pound with very little ash, making clean up a breeze. These pellets are also carbon neutral, making pellet grills an eco-friendly alternative to gas or charcoal grills.